The City of Santa Clarita is offering a seven-week Community Emergency Response Training (CERT) program designed to teach residents basic survival skills in preparation for disasters such as earthquakes, fires, floods, hazardous incidents, and other life-threatening situations. The CERT Spring session will take place on Thursday nights from 6 p.m. to 9 p.m. beginning Thursday, April 4, through May 16, 2013. “The City believes that it’s important to keep our community informed about emergency preparedness. The CERT program provides residents with information and the basic skills needed to prepare and stay safe during any natural disaster,” said Mayor Bob Kellar. Taught by Los Angeles County Firefighters, participants will learn to treat life-threatening conditions through a method used by first responders called Simple Triage and Rapid Treatment (S.T.A.R.T). By the end of the course, trainees will be able to identify the proper courses of action and organize available resources based on the disaster situation at hand. 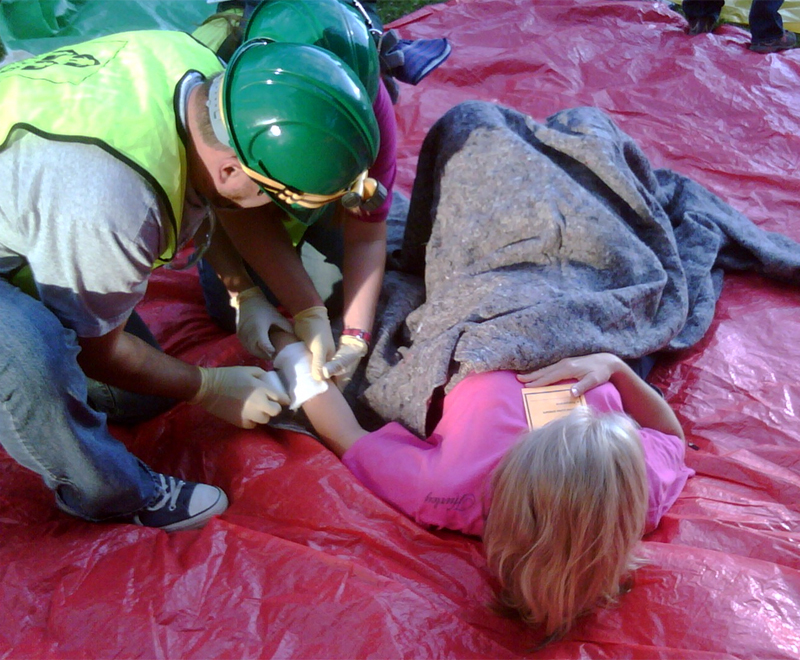 CERT also incorporates table top exercises and realistic simulations to illustrate topics such as search and rescue operations, terrorism, disaster psychology, and medical operations. Certified by the Federal Emergency Management Agency (FEMA), the CERT program requires no previous knowledge to participate and trainees must be 18 years or older to participate. Registration is now open and prospective participants can register online until spaces are filled at Santa-Clarita.com/Index.aspx?page=505. Cost is $30.00 per person which includes all course materials and equipment. For more information on the CERT program, please call (661) 250-3708 or visit Santa-clarita.com/emergency.